If you feel like stuff has been getting more expensive lately, you're right. 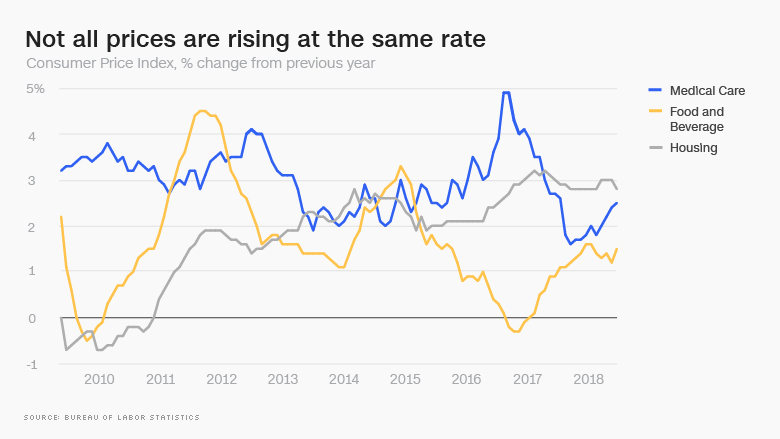 The Consumer Price Index, which tracks most items on the average city-dwelling American's shopping list, rose 2.9% last month — its fastest pace since 2012. When prices speed up, paychecks don't go as far. Average hourly earnings only increased 2.7% over the year in June, which means that most workers' paychecks actually aren't going any further at all. The Federal Reserve also monitors prices closely to decide whether to hike interest rates. Those rates influence how much people pay for all kinds of credit, and can throw off federal budget projections if they start rising too fast. The Fed also watches a slightly different metric called Personal Consumption Expenditures, or PCE, which capture rural residents as well as indirect costs like employer-sponsored health benefits. But there's a lot going on underneath the average rate that determines whether any particular individual is paying more, depending on what they typically buy. For example, much of the recent boost is driven by the price of oil, which has recovered from under $30 a barrel during a supply glut in 2015 to over $70 a barrel today. High oil prices raise the cost of everything from hamburgers to Uber rides, but people who depend on cars for transportation are going to feel it a lot more than bike commuters. For that reason, the Fed is more interested in the "core" CPI and PCE, which leave out food and energy. When it talks about the 2% inflation target, that's what it means. Core CPI has popped above 2% a few times since the recession, but core PCE has not. Unlike oil, housing prices have seen consistently high growth coming out of the recession — particularly in hot real estate markets like Seattle and New York City, but also in smaller cities and even rural areas. 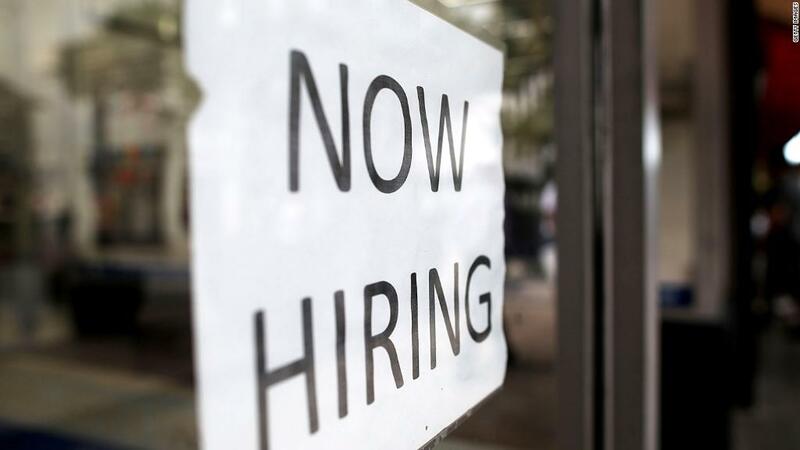 For that reason, some economists are arguing that the Federal Reserve should take housing out of the "core" inflation rate, and wait to hike interest rates further until the unemployment rate sinks even lower. Then there are a few individual items that have fluctuated in price for their own reasons in recent months. The cost of gardening and lawn care services, for example, is up 7.6% over the year, possibly because of a shortage of people willing to work for the low wages doing that kind of difficult work. 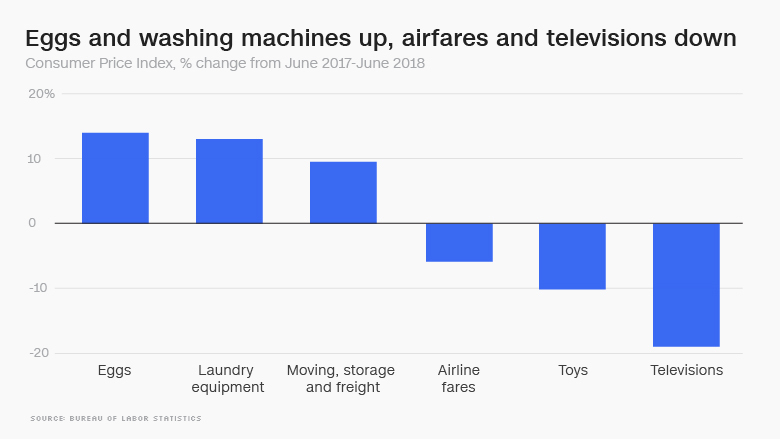 Laundry equipment is now 13.1% more expensive than it was last June, likely on account of a new tariff on foreign washing machines. The price of eggs is up 14.1%, a legacy of bird flu outbreaks that have decimated supply in Europe and South Africa. Airline fares, on the other hand, are 5.9% less expensive. Instant coffee is down 6.1%, and televisions are in the bargain basement — 19.1% cheaper than this time last year.